Fiona Snyckers is the author of the Trinity series of novels and the Sisterz series of mobile phone novels. She has also published many short stories. 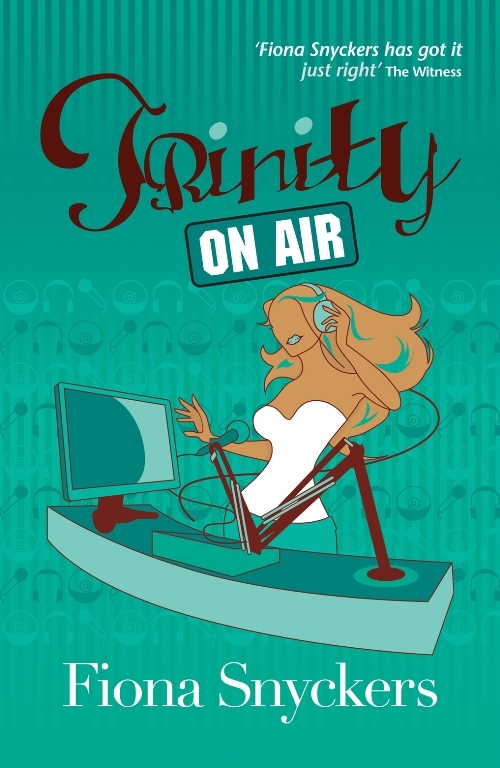 The Trinity series includes Trinity Rising and Trinity On Air (Jonathan Ball Publishers), and Team Trinity (Modjaji Books). 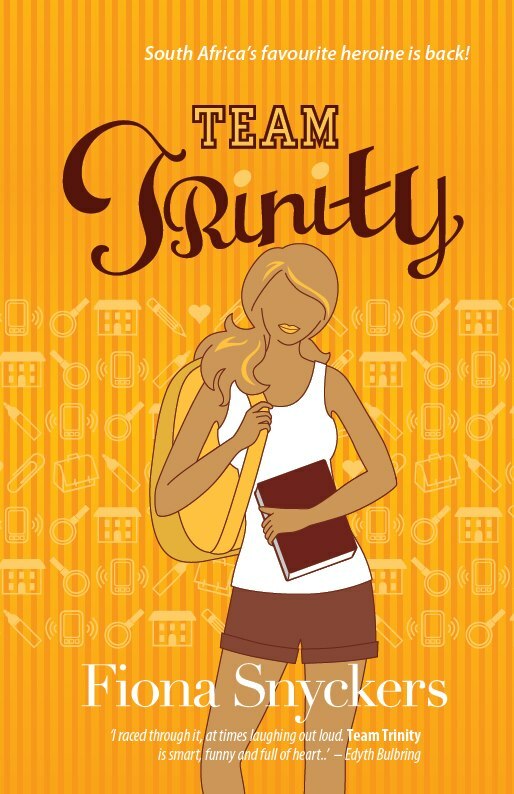 The series is a genre crossover between YA and women’s fiction as it follows the protagonist, Trinity Luhabe, from her teenage years to young womanhood. 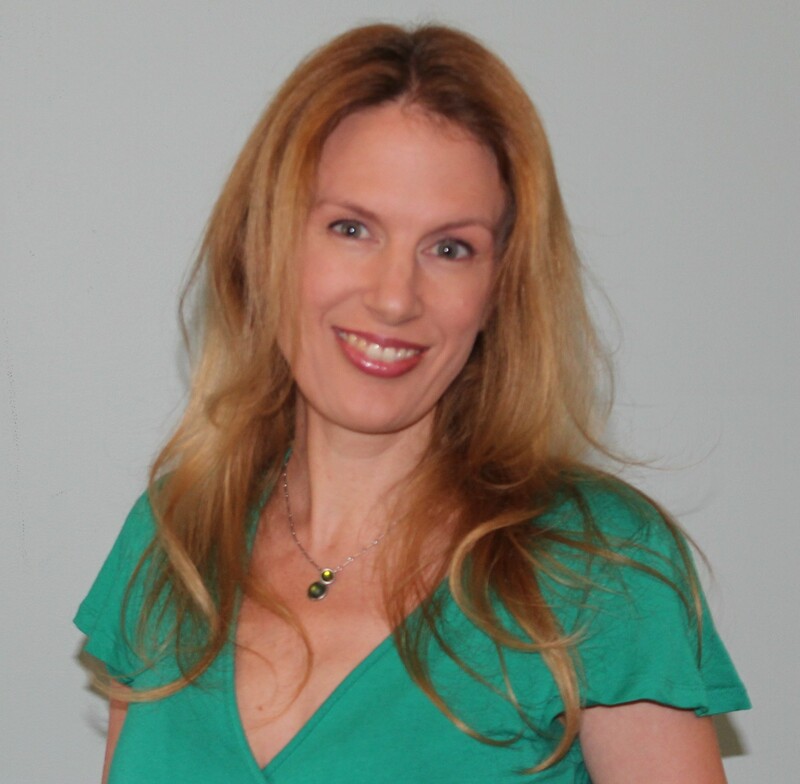 Fiona’s fourth novel, Now Following You, will be published by Modjaji Books in mid-2015. She lives in Johannesburg, South Africa, with her husband, three children, and four cats. As soon as I was old enough to hold a pen. I remember what a revelation it was to me to realize that I could arrange words in any order I liked and thereby create my own stories. My first published work appeared when I was 10 years old on the children’s page of our local newspaper. The prize money of R5 seemed like a giddy fortune to me in those days. I had to wait until my mid-thirties for my next big break. Up until then I’d been working as a freelance journalist. I had won the odd short story competition, and had my stories placed in magazines and collections, but my attempts at a novel had all been met with polite but firm rejection letters. Then I got the idea of writing about a character who belonged to the new generation of South Africans – the so-called “born frees” who were born after apartheid ended. I wanted to make her fairly ditzy and materialistic, but with an inner wisdom that you underestimate at your peril. I fell in love with her instantly and was thrilled when South African readers did too. Even as I was writing Trinity Rising I knew this was the book that would finally get published. My fourth novel, Now Following You, will be published by Modjaji Books in mid-2015. It is a romantic suspense novel for adults. The main character is a young woman who is very active on social media until she finds she is being targeted by a stalker. She then has to decide whether to take the advice of well-meaning friends and change her online behavior, or to refuse to be intimidated. It is an examination of the victim-blaming phenomenon in an online context. I work on a laptop so my work environment is fairly flexible. But I am often to be found sitting up in bed surrounded by four cats who are setting me a bad example by falling asleep. I work in the mornings while my children are at school because my afternoons are taken up by driving them around to extramurals, and my evenings disappear in a miasma of homework and dinner preparation. I try to be disciplined about making my mornings count. On a very good day, I can get 1500 words written. I draw up a fairly detailed chapter-by-chapter outline of the whole book before I actually start writing. I try to stick to that as closely as possible. It works for me because when I do start writing it feels as though I am entering a room full of people I already know pretty well. Like most writers, I am a good listener and an even better eavesdropper. I get most of my ideas from snippets of conversation going on around me. I am also inspired by books, sometimes to too great an extent. I often have to stop reading a particular book while I am trying to write because I find it is influencing my style too much. I struggle most with self-discipline. I am a fanatical bookworm. It is much more fun to read what someone else has written than to write something myself. I have to force myself to put my current book down and get on with my own writing. I would like to take more risks as a writer. I am currently working on a manuscript that is unlike anything I have written so far. It might flop badly because it is not the kind of writing I am currently known for, but I feel driven to step out of my artistic comfort zone. Wow, how long have you got? In terms of overseas writers, I love Liane Moriarty, Jane Green, Jennifer Weiner, Clare Chambers, Tana French, Sophie Kinsella, Marian Keyes, Emily St John Mandel, Donna Tartt, Jessie Burton, Karen Joy Fowler, and Kate Atkinson, to name but a very few. Locally, I am a big fan of Henrietta Rose-Innes, Nadia Davids, Futhi Ntshingila, Zukiswa Wanner, Angela Makolwa, Cynthia Jele, Jassy Mackenzie, Paige Nick, Kathryn White, Finuala Dowling, Colleen Higgs, Yewande Omotoso, C.A. Davids, and Claire Robertson. Again, this is only a drop in the ocean of female talent that South Africa boasts. 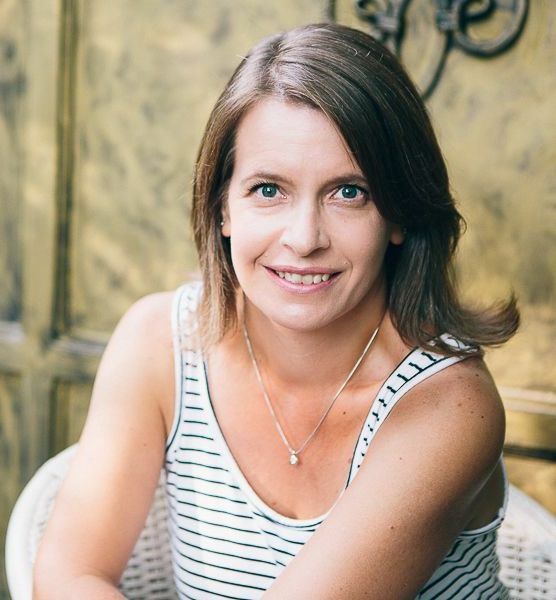 I believe these authors have books coming out this year and I’d love to hear more about them – Finuala Dowling, Kathryn White and Henrietta Rose-Innes.